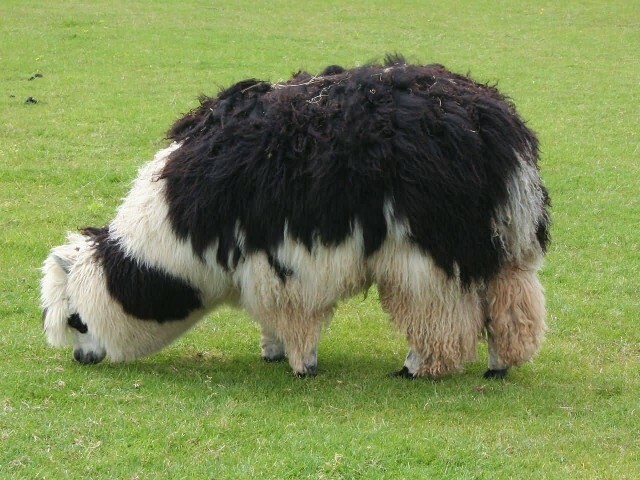 An alpaca is a domesticated species of South American camelid. 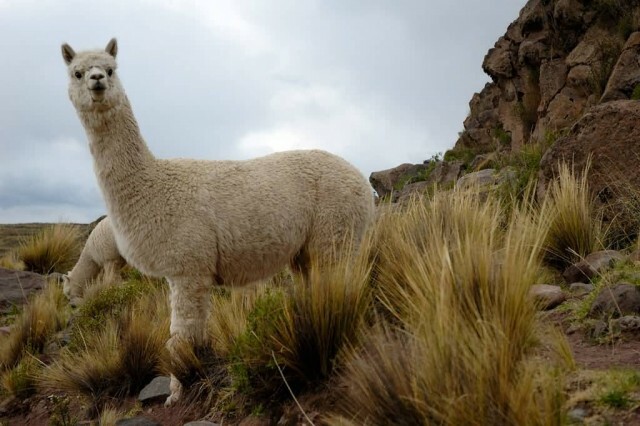 There are two breeds of alpaca: the Suri alpaca and the Huacaya alpaca. 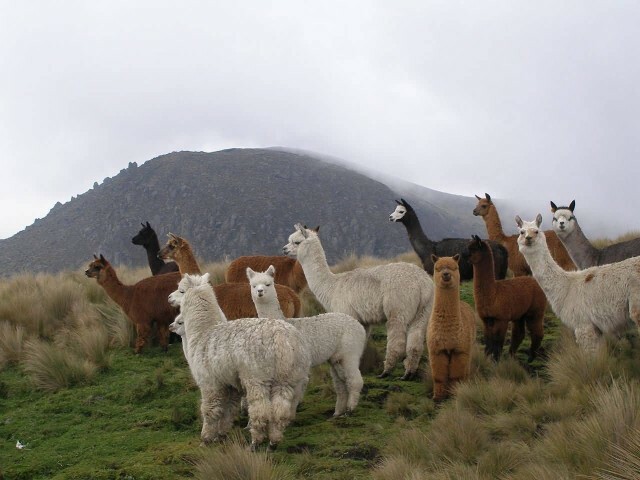 Alpaca fiber is used for making knitted and woven items, similar to wool. These items include blankets, sweaters, hats, gloves, scarves, a wide variety of textiles and ponchos in South America and sweaters, socks, coats and bedding in other parts of the world. The fiber comes in more than 52 natural colors as classified in Peru, 12 as classified in Australia and 16 as classified in the United States. 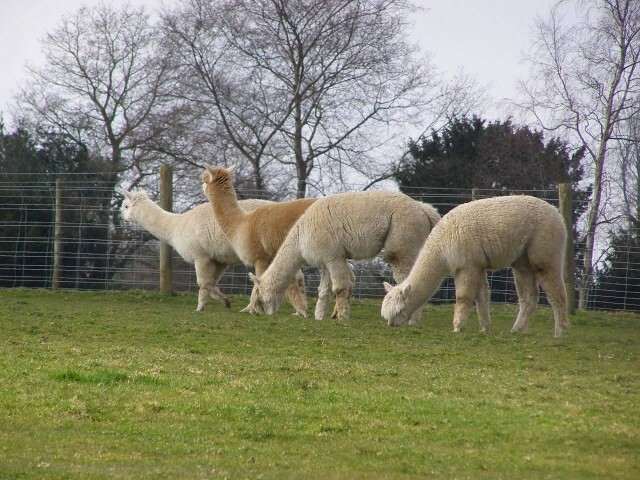 The height of an adult alpaca is between 81 and 99 cm and weight between 48 and 84 kg. They generally eat hay or grasses, but can eat some other plants also.